I remember being asked years ago what it means to be “biblical”. The term has been tossed haphazardly nowadays and much confusion arises. Is the mere mention of a word makes it biblical? Who determines if its qualities? Well simply put, it is the Word of God as a whole that determines its meaning and purpose. Being divinely inspired, it alone is capable of defining its own terms and meaning. Being free from any error or deceit, it alone is consistent from beginning to end. And because it contains completely the revelation of God, the Bible is the final arbiter of what is and what is not biblical. Therefore, as receivers of God’s Word, we simply allow Scripture to determine what it is biblical and those who do so are, in the truest sense of the word, being “biblical”. But is this how we assess our own beliefs and practices? Do we labor to be biblical and align ourselves with the teaching of Scripture? One area I would like to challenge our thinking in terms of biblical practice is on the topic of church leadership. I believe, aside from worship, choosing our leaders in the church is an area we need to be more faithful. Church leadership in order to be effective has to be grounded in Scripture. So this is what we will be doing in our sermon this morning. We will examine the biblical qualifications of an overseer. The overseers that Christ’s appoints are qualified, godly and gifted men. They possess specific identities, characteristics, and abilities and this separates them from the congregation and becomes selected for the task of serving the church. Prayerfully the congregation should seek them out and appoint them to positions of pastors/teacher, elders, and deacons. The apostle Paul wrote to Timothy the qualifications of those who will occupy Christ’s office in the church. In 1 Timothy 3:2-7, he listed down the identity, character, and abilities required from these men. The requirements can be broken down exegetically into five major division: (1) two requirements: one general and the other is specific; (2) three character traits; (3) two special abilities; (4) another set of characteristics, listed here are five traits; and (5) three lengthy requirements that address the nature and work of an overseer. The list that was provided by Paul was quite exhaustive so we will be spending two Sunday sermons to hear and apply them in our church. We will start with the two major division this week and spend time on the last three major division next Lord’s Day. So for this Lord’s Day, we will be hearing the general and special requirement, the three character traits and two special abilities from verse 2. Paul wrote: “Therefore an overseer must be above reproach, the husband of one wife, sober-minded, self-controlled, respectable, hospitable, able to teach”. I have organized the sermon, Biblical Qualifications for Men in Office, into three topical points: (1) Qualified Men in Office; (2) Must be Above Reproach; and (3) Faithful men who are able to teach. On the first point, we will answer the question about having qualifications. Why do we need to qualify our overseers? And the next two points, we will answer the question about the qualifications themselves. What are the qualifications? Why are these the qualifications set by the apostle Paul? What does this reveal about the identity, character, and ability of an overseer in the church? Why do we need to qualify our overseers? First, we need to recognize that qualified overseers are God’s good gift to the church. Second, we need to accept our responsibility as a church to qualify them according to God’s word. Building up the church is the work of our Triune God. There is often a danger of assuming that leaders of the church were appointed because of their natural gifts and abilities. However, Scripture was clear about the source and origin of such gifted men. We need to recognize they were God appointed, Christ procured and Spirit distributed. It was God himself who appointed them according to Paul in 1 Corinthians 12: 27-28: “Now you are the body of Christ and individually members of it. And God has appointed in the church first apostles, second prophets, third teachers, then miracles, then gifts of healing, helping, administrating, and various kinds of tongues (emphasis mine).” God the Father, who arranges and appoints these gift for the church, sustains the church by these extraordinary and ordinary gifts. God gives qualified men to occupy his office in the church. He calls them into office by providing then the desire and ability. Therefore, due to the spiritual nature of this internal calling, it is necessary for us to objectively qualify them in terms of their identity, character, and ability. This is our second point under this topic: it is the duty of the church to recognize, to affirm and to use them in the church. The internal calling of the overseer must be met with the external calling of the church. Paul made this clear when he wrote: “If anyone aspires to the office of overseer, he desires a noble task. Therefore an overseer must be… (1 Timothy 3:1-2a)”. The internal and external calling goes hand in hand. God will continually supply his church the leaders they need. This is the sovereignty of the God and the responsibility of the church at work in the selection and appointment of church leaders according to Scripture. Again, to summarize our first topic: God gives qualified men and in response, the church recognizes them by the qualities set to us by Scripture. God provides qualified men in office and the church can qualify them based on the identity, character, and ability set by Paul in his letter to Timothy and Titus. But before we dwell further on the list of qualifications, let us first address the question of identity. Who are these qualified overseers? Now given these verses, I think we can conclude that Scripture made it plain that the leaders of the church should be men. Positively speaking, men were given the roles to lead Christ’s church. So God gives qualified men to the church to occupy his office. What then are the characteristics and abilities we should look for as a church in order to identify them, select them and finally appoint them to the task of an overseer? According to Scripture, the first qualification of an overseer, in a general sense, is that he must be above reproach (verse 2a). Paul made an emphatic use of the English word “must” or in Greek “dei” meaning it is necessary, should or proper by making it the first word on this sentence. Because of the word order lay emphasis on the necessity of this qualification, the apostle made it plain that the character of the person is the most important quality in an overseer. Being above reproach or in greek “anepílēptos” means a person who is “properly, not apprehended (found wrong) when censured or attacked, i.e. without blame in light of the whole picture.” It points to a character related to his holy conduct. Now, I have heard several exhortations in the pulpit that focuses on availability and faithfulness as a qualification for an officer of the church. It often in the context of finding people who are more willing than able. However, the character that counts most for Paul in qualifying men for service is not his willingness but his godly character. It is not a question of availability but spiritual integrity. Now the requirement is not sinless perfection. We need to understand that in even our most sanctified life, we will never be able to achieve that unless we are glorified in Christ. However, we should not mistake this as an excuse to lower our standard of moral behavior expected from an overseer. Simply put, an overseer who is above reproach means he cannot be charged by anyone of wrongdoing public or private. It does not mean he is above the law or immune to correction or rebuke. It just simply means when someone tries to charge him with anything, he should be able to uphold his good name and clear himself with any wrongdoing. No one should be able to put him to shame and to smear the good reputation of Jesus Christ and his church. He should be blameless, a man of moral and spiritual integrity. Specifically, how can he demonstrate his integrity? More than in his church, he should be able to show this at home. The next item in Paul list is that he should be a husband of one wife (verse 2a). Now, I have made this point on our first topic so this time I would like to focus not on the identity, being a “he” or a husband, but on the character of fidelity. Integrity and fidelity are often the traits of a mature godly man. Integrity means oneness in speech and in action while fidelity pertains to the consistency in conduct. Both are domain traits of a mature man who knows and does what needs to be done and does it steadily over a long period of time. But is this quality limited only to married man? Most men, in general, who mature over time will eventually marry. Now does this mean that the office of an overseer limited only to men who are married? Well, if we consider the teaching of Scripture as a whole, we can plainly conclude that this is not so. Paul was unmarried and yet he holds the office of an apostle which is also considered an overseer. Therefore, we can only conclude that an unmarried man who demonstrates integrity and fidelity in his singleness can be qualified to be an overseer. But how about those who remarried? Well, if a man remarried lawfully, he should also be fit for office. Scripture made it clear in case of death, a person can remarry (Romans 7:2-3) or in the case of being a victim of infidelity or abandonment, he can lawfully divorce and remarry. We should deal with this particularly in every case but since we only allow annulment in our country, we should follow the laws of the land. However, in a general sense, if it is a lawful and have a Scriptural warrant, we should recognize it and allow the person to be an overseer. But how about polygamy? Well, definitely no. It is precisely what the phrase “of one wife” emphatically contradicts. And those who are found guilty of marital infidelity and sexual immorality? Again, no. An overseer should be a good example to his flock (1 Peter 5:3) specifically in his conduct at home with his own wife. So, an overseer should be above reproach and a husband of one wife. He should be a man of integrity and fidelity. These are the two most important characteristics we should all be looking for in an overseer. The next set of qualities given by Paul points to the characteristic needed to carry out the first ability laid down by Paul. In verse 2b, he wrote: “sober-minded, self-controlled, respectable, hospitable, able to teach”. Being sober-minded, self-controlled, respectable and hospitable are great traits of an effective teacher. Overseers are faithful men who are able to teach. In here, the ability to teach becomes the primary task of an overseer. While in our next discussions we will particularly make a distinction between the office of pastors who preach with the elders who rule, suffice to say for now that as being an overseer, the skill of teaching is the main instrument used in carrying out both office of the ministers and the elders. But the hard skill of teaching needs to be accompanied by several important personal attitudes and soft people skills namely, sober-minded, self-controlled, respectable, hospitable. These make them effective overseers in the church of Christ. While teaching can be a profession or a vocation used in secular schools in universities, teaching as a part of the overseer’s task can only be made relevant to the congregation when carried out spiritually. Being sober-minded and self-controlled are the two main spiritual attitudes required in an overseer. In other translations, sober-mindedness means being watchful or vigilant while self-controlled means prudent, thoughtful or possesses a good and sound mind, able to make a good judgment. These qualities are important to an overseer especially when teaching because an overseer is in charge of the souls of the congregation. In all seriousness, wisdom and judgment are required to carry out this important charge. Aside from these spiritual attitudes, these men are required to be respectable and hospitable. These traits gauge a person’s ability to interact and conduct himself properly with others. An overseer should be concerned with the welfare of others and able to demonstrate sincere love toward others. He should be a great host to people, warmly greeting guest and welcoming to strangers in the church. He should be winsome, approachable, able related to anyone. He cannot be aloft, easily annoyed and timid. Just like how Jesus conducted himself in his public ministry and in his private life with his disciples, we should be able to express our sincere care and love to others. In a way, all these are related to his ability to teach. An overseer should be able to teach with wisdom and care. But do they need a seminary degree? Well, a person who teaches understand the rigorous requirement of an academic degree can help with the discipline of teaching. As a church, we should recognize the importance of training and education. A seminary -trained overseer can effectively perform his duty. However, I will like to direct us to Edmund Clowney’s reminder about this matter. He wrote: “When people see the evidence of fruitful ministry, they extend the outward call to the office in the church. Grades gained in a theological college or university may represent performance on the academic level, but the decisive demonstration of gifts appears in the service of the church.” Well, let us not make the cart put the horse. Service to the church has to be demonstrated first then proper training can be attained. Not all who goes to seminary becomes an overseer but those who are called to be one will definitely have the desire to be trained in order to perform well in their duty. To summarize: An overseer should be a man of integrity and fidelity. He should be able to teach with great wisdom and sincere concern. This is the identity, the characteristics and ability of an overseer made plain to us from verses 1-2 of 1 Timothy 3. In conclusion, let me address some practical concerns. I listed three. First, some might think, especially men in our church, I don’t think I can qualify given such high standard. You might be thinking, who can only qualify for that? Now first I would like to say, it is a good thing that you feel some kind of inadequacy on your part. I would rather have you feel inept than overconfident and improperly assessment of yourself. But given that you felt some kind of lack means you are aware of the gap between who you are right now with what is required of you. For me, it is a good start. However, the key to overcoming obvious lack of current requirement is to understand whether or not you are desirous of such office. Is God calling you to service? For one thing that I learned in ministry is this: “What God requires, he supplies.” God mandated in his Word that his church should be led by qualified, faithful and able men. Do you believe this? If so then let us trust God’s wisdom and allow him to sovereignly apply this in our lives. Therefore, it is our duty as leaders to uphold them and as members to look for them. This is how God makes true churches in this world. We may be able to come up with an endless list of things we lack, however, I am made sure by God’s Word that he will work it out. So do you have a desire to be an overseer? Scripture said that calling is from God and if it is from God then He will provide everything you need to fulfill that call. Second, about not having the time and energy to fulfill the call. You may say, Pastor, I do desire to be an overseer but I don’t think I can do it now for I have a full-time job and my family needs my full attention. I have no more time for ministry. Well, let me direct you to Alexander Strauch who wrote the book Biblical Eldership. 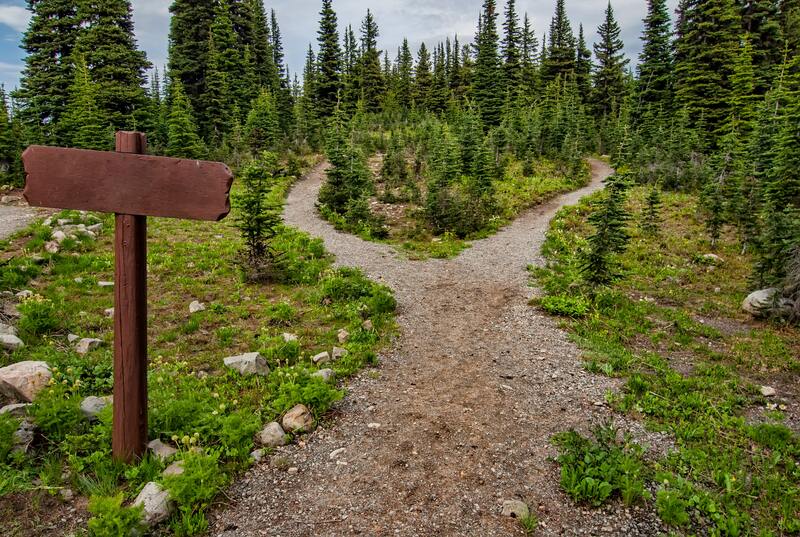 He reminded his readers this: “The real problem, then, lies not in men’s limited time and energy but in false ideas about work, Christian living, life’s priorities, and— especially—Christian ministry. To the Ephesian elders, Paul said, “You yourselves know that these hands ministered to my own needs and to the men who were with me. In everything I showed you that by working hard in this manner you must help the weak and remember the words of the Lord Jesus, that He Himself said, ‘It is more blessed to give than to receive’” (Acts 20:34,35). How do working men shepherd the church yet maintain family life and employment? They do it by self-sacrifice, self-discipline, faith, perseverance, hard work, and the power of the Holy Spirit.” As Christians, we are called to bear our own cross and since we are redeemed by the work of Christ on the cross, our lives in sanctification will be marked by the cross. D.A. Carson reminded us with his quote in the book The Cross and the Christian Ministry: “The cross not only establishes what we are to preach but how we are to preach. It prescribes what Christian leaders must be and how Christians must view Christian leaders. It tells us how to serve and draws us onward in discipleship until we understand what it means to be world Christians.” Our calling is marked by suffering. Again, we are called to carry our own cross. A life of service is a life of sacrifice. We can find time by simply understanding requires some concessions or part. We need to man up and simply do what is required. Let us arrange our lives for spiritual service and not indulging in our earthly desires. Lastly, on the idea that we should lower our standard and simply compromise. Why should we burden ourselves with such “unrealistic” ideals? Perhaps we should give ourselves a break and deal with the matter pragmatically. My friends, this is the surest way to kill a church. Apart from Biblical worship, biblical church government specifically, biblically defined eldership becomes the watershed that leads to a church’s demise. Compromise on this matter will eventually lead the church to spiritual decay. But the cure to the church’s spiritual stagnation and decline is a biblically defined and applied eldership. We can be sure, as the sun shines on the day and the moon shines brightly at night, of God’s faithful provision to his church when the church faithfully applies his Word in their lives. Again Alexander Strauch wrote: “A biblical eldership, then, is a biblically qualified team of shepherd leaders. A plurality of unqualified elders is of no benefit to the local church. I agree fully with the counsel of Jon Zens, editor of the journal Searching Together. He writes “Better have no elders than the wrong ones”. The local church must in all earnestness insist on biblically qualified elders, even if such men take years to develop. We should be committed to this biblical mandate of having biblically qualified men in office.” Brothers and sisters in Christ, let heed the call to be faithful with what Scripture teaches. Let us apply them intentionally to the leaders of our church. 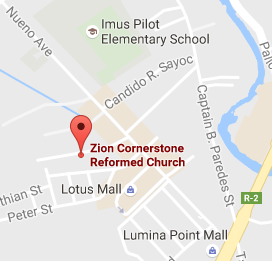 ZCRC Imus, the overseers that Christ’s appoints are qualified, godly and gifted men. They possess specific identities, characteristics, and abilities and this separates them from the congregation and becomes selected for the task of serving the church. Prayerfully the congregation should seek them out and appoint them to positions of pastors/teacher, elders, and deacons. May the Lord supply what he requires. Amen.